Do you want to understand laser hair removal before and after treatment? We have put together some case studies for you to look at. This client initially had a few hairs on her chin and plucked them out. Over the years she noticed the number of hairs had increased. She resorted to shaving the area and as she did this the hair began to grow faster, and shadowing within her skin was still visible due to the thick nature of the hairs. When she came to Clear Medical she had been shaving daily. After several treatments she had no more growth. Following her second treatment the need to shave had stopped. It gave her increased confidence and saves her so much more time in the mornings. After the birth of this client’s first child she had noticed growth of a lot hair on her chin. She resorted to waxing which helped her initially in the short term. Over the years, however, she noticed the rate and the thickness of the hairs had increased. She also experienced ingrown hairs which occurs when hairs are pulled against the direction of growth. The ingrown hairs caused shading and discoloration of her skin and greatly annoyed her. Originally she was sceptical about IPL/Laser as a solution but after a friend recommended Clear Medical this soon changed. After six treatments her hairs were drastically reduced and she was in a state of disbelief that it had actually worked. This Asian male had a recurring problem of hair growth on his ears. He had gone to the barbers for years and eventually resorted to plucking. Understandably this was time consuming and extremely painful. Clear Medical advised him on the treatments we could offer, and five sessions later he had no more growth for months. 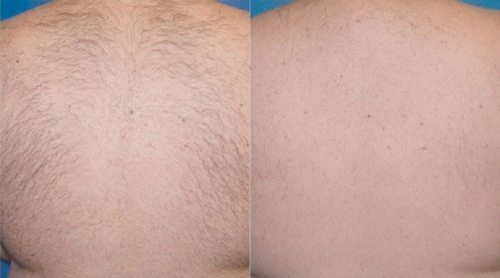 At his consultation we advised him that if they had turned grey like his body hair it wouldn’t have been possible to treat them. Previously, this client was having her threading on her eyebrows. The beautician made an offer to remove her fine fluffy hairs that were visible on her cheeks and she gave consent. She didn’t know that the hairs were likely to grow back thicker, longer and stronger. She had spent time searching for a solution to the problem as she was in a state of devastation. After several treatments with Clear Medical, her hair growth receded and eventually stopped. She was really happy that the treatment was a success. As a teacher in a warm classroom it was quite normal for this lady to shave her underarms every day. She knew that teenagers can be quite observant when she wrote on the white board. Having had six treatments with Clear Medical, now she doesn’t have to do anything to the area other than hydrate. She feels confident now and able to teach without any embarrassment! This client would always book herself into a waxing salon before she travelled to a sunny destination or when she was going to the gym. Clear Medical gave her 5 treatments and now her partner, the women in the gym and fellow tourists can’t see a thing on her bikini line. Having one less thing to worry about has made a world of difference to her life. In his youth, this client was quite athletic, but with less time, weight gain and bad lifestyle habits. He wants to go back to his training regime but wouldn’t put on a vest due to embarrassment. He had four sessions at Clear Medical and was so happy with the reduction of hairs on his back. When he went back to the gym his increased confidence meant he was happy to put on a vest! This client didn’t have time with four children and a job to wax or shave her legs. She decided she needed to make time to finally do something about it. She had seven sessions at Clear Medical and experiences delight in the fact she doesn’t need to worry about her legs anymore. 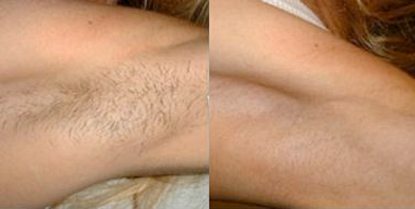 If you want to feel the difference that laser hair removal before and after can make in your life, feel free to arrange a free consultation.